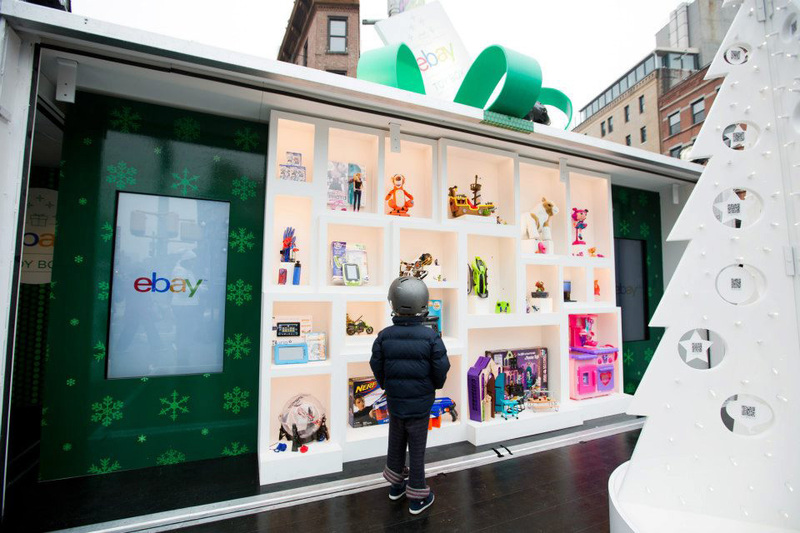 eBay Toybox | Readyset Inc.
eBay partnered with Toys for Tots to launch its new app at the eBay Toy Box pop-up in the meatpacking district’s Gansevoort Plaza. 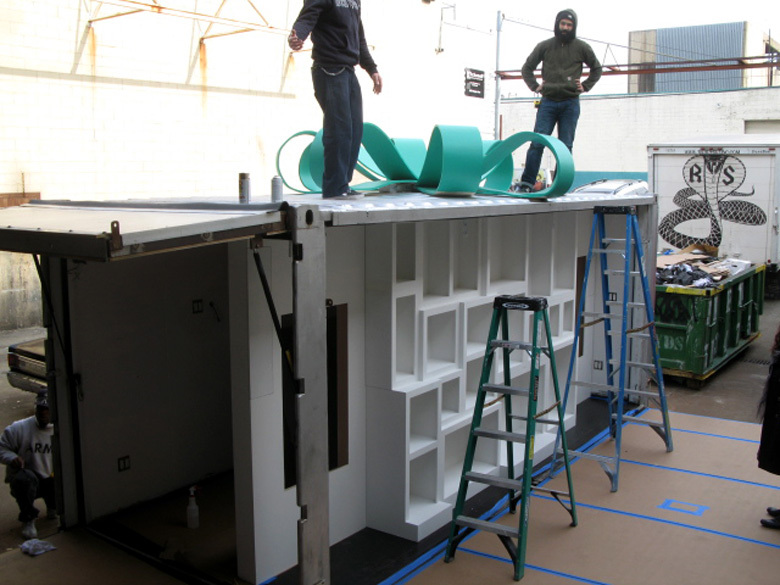 To create the Toy box we refurbished a converted shipping container that we had previously made for eBay with new floors, and a new interior build out and wrapped it up with a custom 8′ bow on top and delivered it to New York’s Meatpacking District. 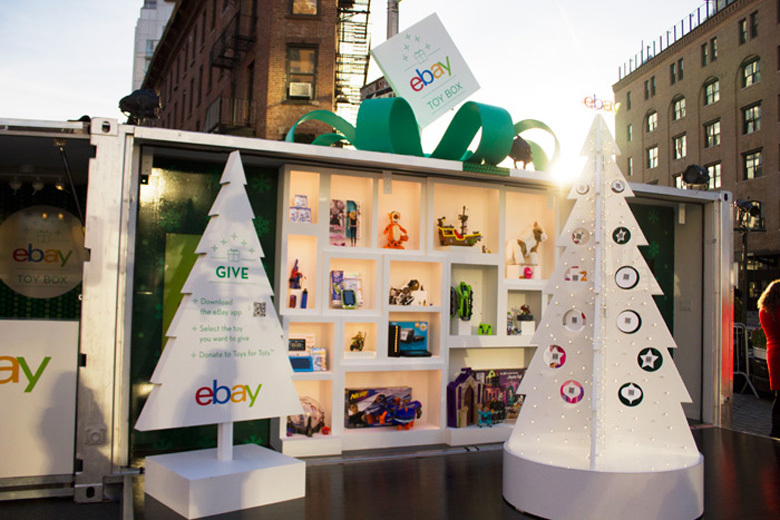 The eBay Toy Box offered holiday shoppers a simple and satisfying way to give toys to kids in need and get toys for every child on their list at. Shoppers could use their smartphone to donate a gift to Toys for Tots, or purchase top toys for all the kids on their list. 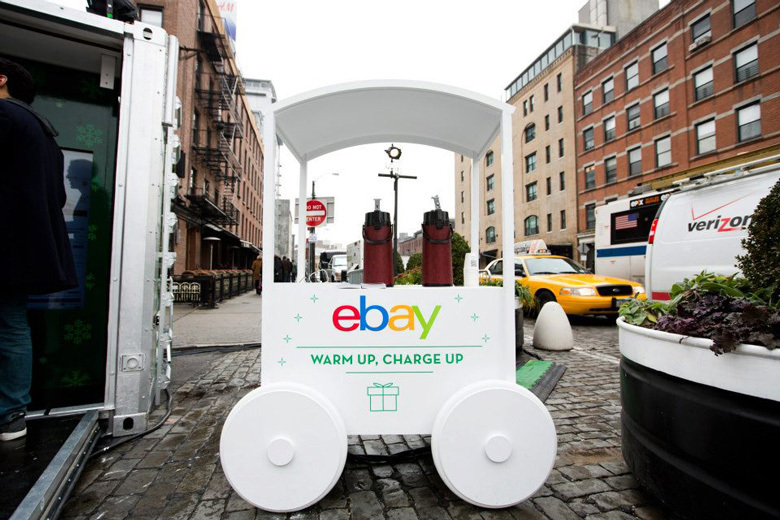 eBay matched each Toys for Tots donation.